Rabbi Nathaniel Helfgot is rabbi of Congregation Netivot Shalom in Teaneck and chair of the Department of Talmud and Rabbinics at SAR High School in New York City. Leading thinkers of those decades, such as Drs. Michael Wyschograd and Eliezar Goldman, and Rabbis Walter Wurzburger, David Shapiro of Milwaukee, all of blessed memory, and Rabbi Shubert Spero of Cleveland, and others, have not enjoyed the same fame or study of their writings in the contemporary area as they deserved. Chief among those who were significant thinkers during those bygone decades and whose writings have done much to enrich our thinking is Rabbi Dr. Eliezer Berkovits z”l. R. Berkovits (1908-1992) was a profound philosopher, rabbinic scholar, and theologian, who was a close student of the renowned Rabbi Yechiel Yaakov Weinberg z”l at the Hildesheimer Rabbinical Seminary in Berlin where he received his ordination, while also earning a doctorate in philosophy at the University of Berlin. He served in the rabbinate in Berlin before escaping to England, where he served in the pulpit in Leeds. He later served in congregations in Australia and Boston before settling in Chicago in 1958, serving as chair of the department of philosophy at the Hebrew Theological College in Skokie. In 1976 he made aliyah to Israel, continuing his writing even as he settled into retirement. He was the author of 19 books in areas of Jewish philosophy, ethics, the Holocaust, halacha, and Zionism, as well as hundreds of significant articles in all areas of Jewish studies and life. To take one example, in my view, his seminal essay on prayer, written in the mid 1960s, is one of the best — if not the best — presentations on Jewish prayer in the English language. His formulation that “Halakha must once again reveal itself as the wisdom of the feasible giving priority to the ethical” (“Not in Heaven,” pg. 178) was a guidepost for much of his writings since the early 1940s till his death in Israel in 1992, and it serves as motto to many till today. A number of years back, the Shalem Institute in Israel reprinted a number of R. Berkovits’s writings, reigniting interest in his work and introducing a new generation to his stimulating and engaging thought. This year, the Jewish world was blessed with the publication of another volume that I hope will encourage even more study and engagement with this important contemporary Jewish thinker. 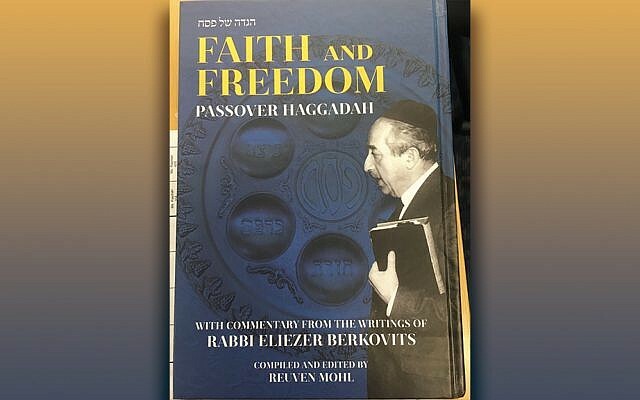 Reuven Mohl of Bergen County, a dentist who grew up hearing his own father discuss ideas formulated by R. Berkovits and became intrigued by them, has compiled and edited a commentary to the Passover Haggadah culled from R. Berkovits’s work. 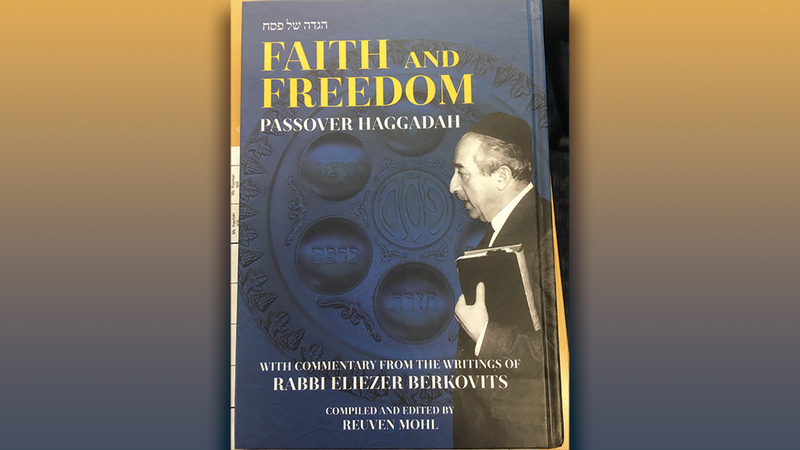 The volume, titled “Faith and Freedom,” includes the entire Passover Haggadah in Hebrew, with an English translation, in a clear and appealing font. It is prefaced with a moving introduction by his sons, themselves educators and rabbis. On the bottom of the page, the editor has created a commentary directly citing relevant selections from the writings of R. Berkovits. Expanding the contours of your discussion in new and unexpected directions may fall under the rubric of that rabbinic encouragement. “Faith and Freedom” is a wonderful gateway into the thinking and writings of a leading voice of Torah and ethics of the 20th century, a man whose ideas should continue to resonate in the ongoing conversations about modernity, Judaism, the State of Israel, the role of women, and so many other critical topics that continue to engage us all. Rabbi Nathaniel Helfgot is rabbi of Congregation Netivot Shalom in Teaneck, the chair of the department of Torah SheBaal Peh at SAR High School in Riverdale, and the author of a number of volumes on Jewish studies, in both English and Hebrew, including “Mikra and Meaning: Studies in Bible and Its Interpretation” (Koren/Maggid, 2011).